First up, my absolute favourite new thing... Lush Salt and Peppermint Bark Scrub! If you dig minty-sweet scents and a bit of scubiness, then you're going to love t too. The square, solid scrub is a blend of sea salt, cocoa and cupuaçu butter, and of course, peppermint oil that exfoliates and softens skin. The effect is perfection, and you can't help but feel a little festive with the candy cane-like scent. If a something a little less scrub-a-dubby is more your style, a chunk of Lush Icing on the Cake is an excellent alternative. The candy-pink roulad (with golden glitter and shimmer!) combine creamy almond milk and chestnut puree with fresh orange, lime, and lemon peel with organic cocoa butter, coconut oil, and almond oil to be a skin softening cleansing wonder. The scent is fresh and creamy without being too sweet while the cleanser gives skin a through clean without being stripping. I love that you can just pinch off a piece pre-shower, meaning a bar will last quite a well and not get melted. 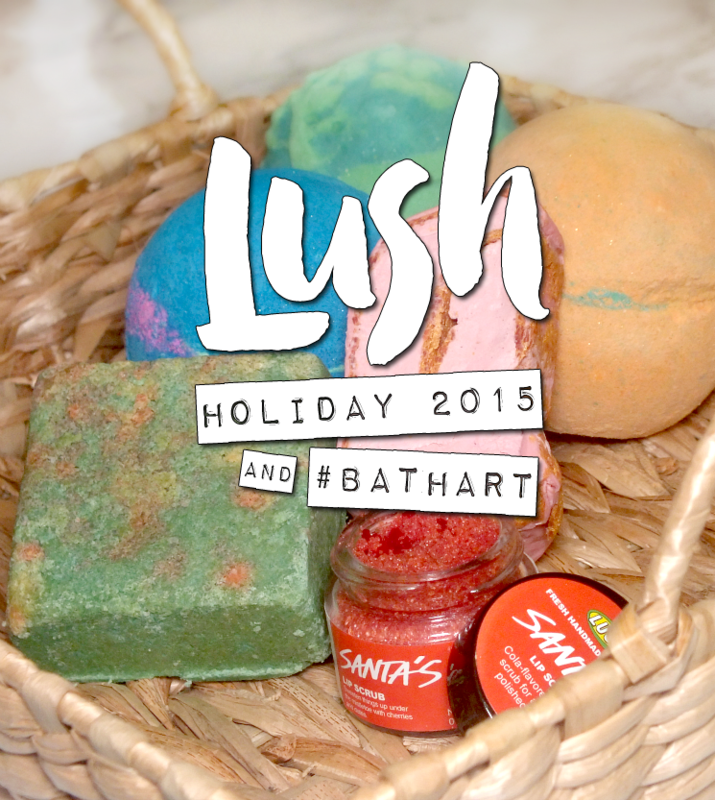 I'm a BIG fan of Lush Lip Scrubs, so I had to get in on the holiday version. 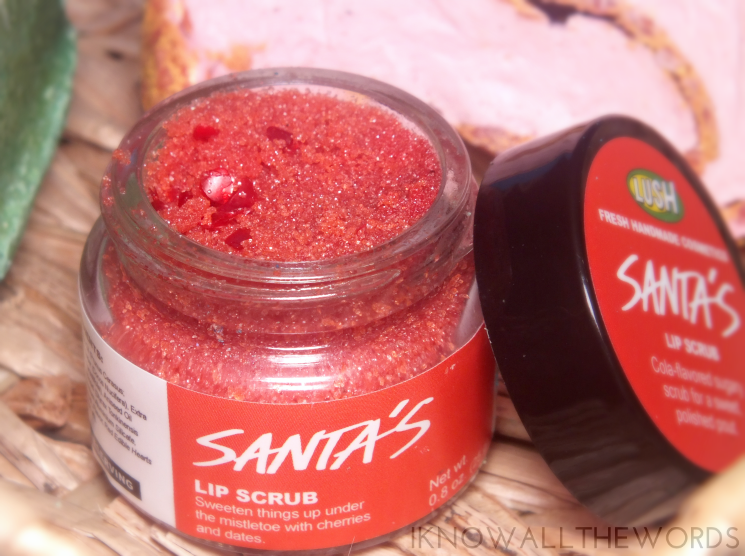 Lush Santa's Lip Scrub is completely loveable with a cute red pot and a cola flavour. The scrub is super tasty (as always) and gives dry lips a much need sloughing in preparation of balm or lip colour. Formulated with sugar (to scrub) and coconut oil (to hydrate) and adorable little edible hearts. Okay, the hearts are cute, but kind of pointless and tend to get in the way as they don't dissolve... Regardless, this is a great little gift or stocking stuffer. 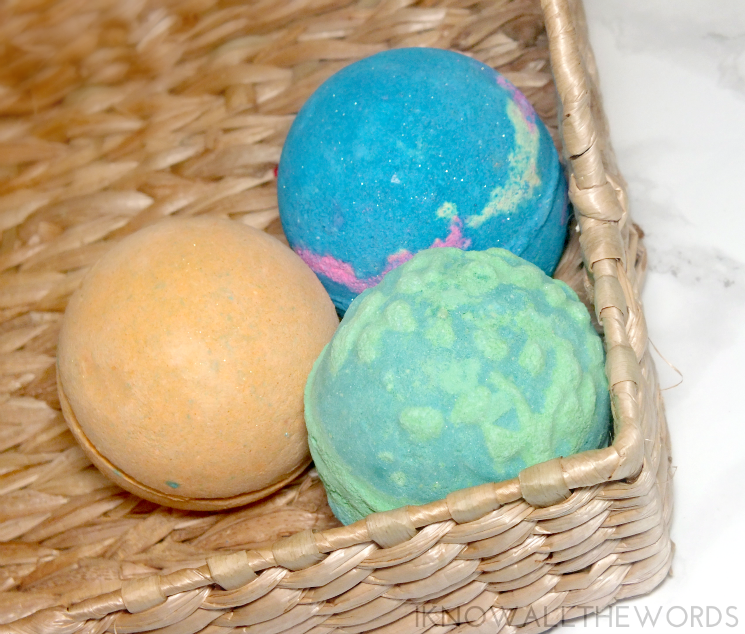 Anyone who has ever popped a bath bomb into their tub knows the art that they create. Swirls of fizzing colour, a few bubbles, wonderous scents, and a bit of glitter from time to time too. Simply put a bath bomb is always a good time. It makes sense that we've been enjoying them for 20 years. 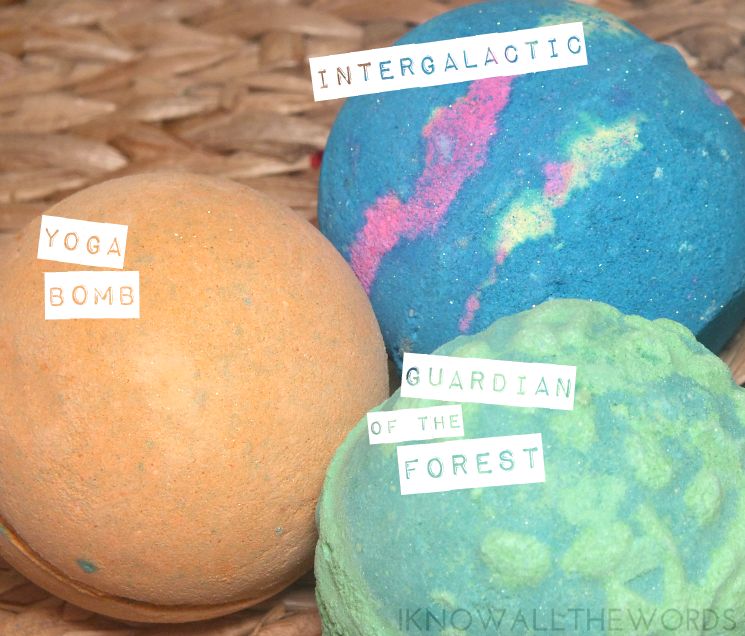 To celebrate, Lush has introduced some new creations to the range, all designed to give you a glorious bath experience. They invite users to share photos of their bath art with the very appropriate hashtag #BATHART. 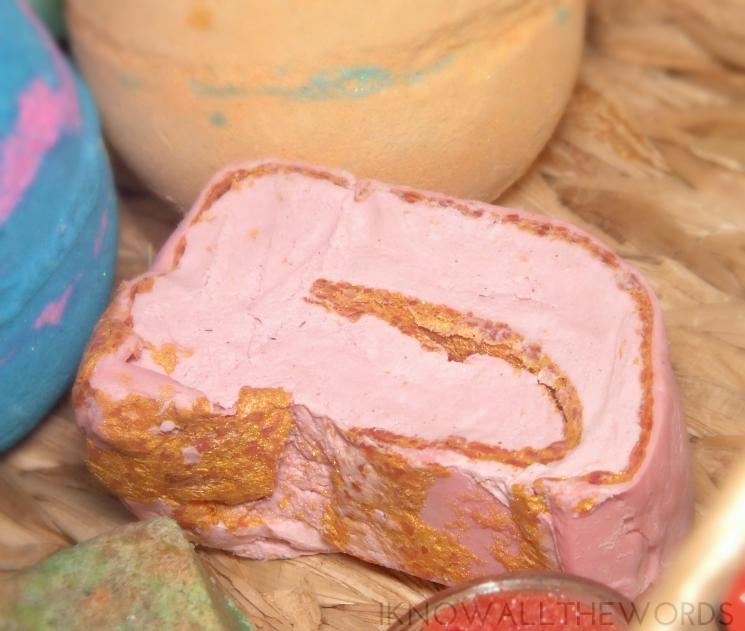 Yoga Bomb this big orange bomb is more than meets the eye as it's got a colourful core (think lavender, blue, mint, and yellow) core that fizzles and swirls for a really pretty bath. The scent is a blend of sandalwood, olibanum and ho wood oils that have a warm, earthy, comforting thing going on. Intergalactic is straight up fun with it's golden shimmer, popping candy, and neon colours. 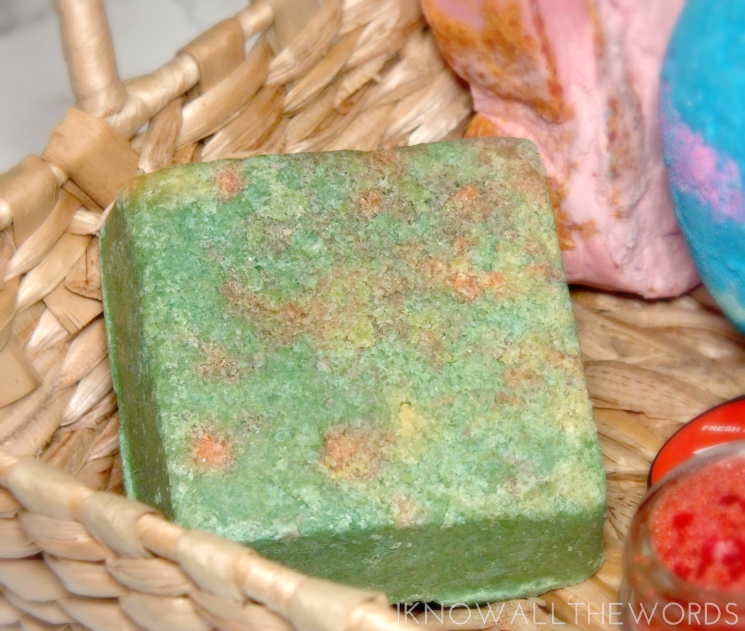 The scent combines peppermint, grapefruit, and vetivert for an interesting minty concoction. I wasn't a fan of the scent a first, but it mellowed after a few days and ended up being one of my favourites. Guardian of the Forest combines soft shimmer and calming green hues for a gorgeous bath experience. The scent was definitely not my favourite at first, but after mellowing for a few days I was won over by the uniqueness of it. The scent combines cypress, oakmoss absolute, rosewood oil, and lime oil for a earthy meets floral experience. Overall, some excellent Lush offerings! I'm going to be stocking up on the Salt and Peppermint Bark Scrub because I am totally hooked, but I suspect you're not going to go wrong with anything you choose. Are you a Lush lover? What is your favourite product?